Do you want to know just how deadly a black mamba's venom is? Check out our venom fast facts. As little as two drops of venom can kill a person and a mamba can have up to 20 drops of venom in its fangs. 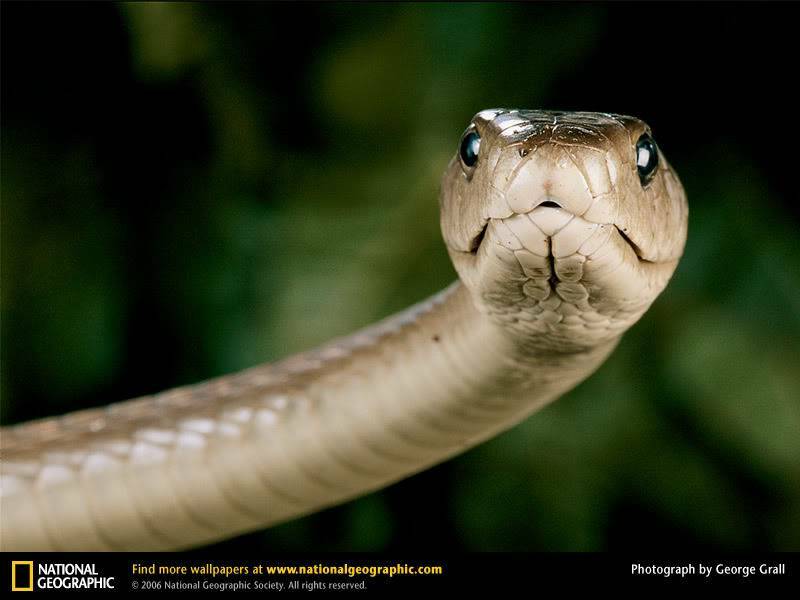 Black mamba venom contains neurotoxins and cardiotoxins. Neurotoxins cause damage to the nervous system, such as parts of the brain controlling motor functions, while cardiotoxins attack the heart. The bite is life-threatening if these symptoms appear within an hour of the bite. Failing lungs, convulsions and coma precede death. Not all black mamba bites are fatal. It depends on how much venom was injected and where. If the venom has gotten directly into the bloodstream and not into surrounding tissue, it could be fatal. Survival is also dependent upon how fast treatment is administered after a bite. Immediate hospitalization is instrumental. There is a black mamba antivenin, but some may be allergic. In some cases allowing the human body to heal itself, with immediate medical care, is the best course of action. Paralysis can completely disappear with no after effects. As it turns out, black mamba venom can only paralyze temporarily. After about 12 hours, the venom molecules start to dislodge and are flushed out of the body's system. Don't they look so cute!